These two adorable little ginger furballs are probably the cutest little kittens you’ll see all day, but that’s not the only reason why this video is worth watching, it’s also hilarious and you’re about to see why! 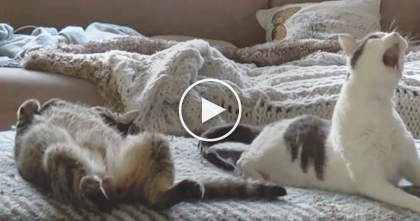 This kitten is trying to sleep, but as you know, sleeping with someone else can sometimes be difficult, especially if this other ginger kitten is your sleeping partner… It’s NOT easy when it ends up like this! Just watch the video below… TOO FUNNY!! Can you relate with this?? 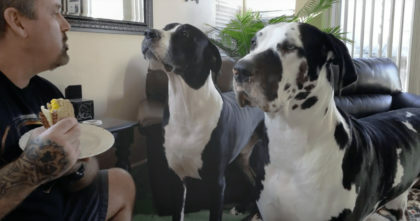 SOO funny, lol—SHARE this video with your friends if you enjoyed! via: Instagram st_busya, h/t lovemeow. 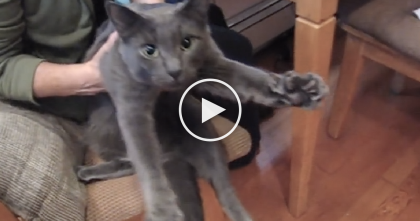 Cat Tries To Be Sneaky, But Ends Up Fooling No One… Just Watch it, HILARIOUS! She Woke Up In The Middle Of The Night, But Didn’t Expect THIS… Unbelievable!! 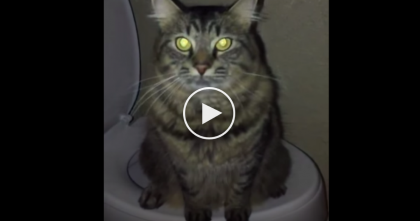 He Heard Some Strange Noises, But When He Found The Reason Why…Just Turn Up Your Volume! 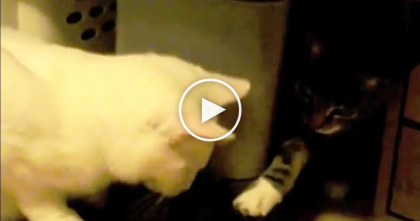 She Gives Her Kitty Some Loving Attention, But Watch And See His Reaction… SOO Adorable! !